Many people have told me they cook at home because they can’t get a healthy meal out in SMA. We took the challenge this past May and hit up 30 restaurants in 30 days to highlight what’s available at restaurants around town. This series, which ran on Facebook, has been revised and will collectively remind you that eating healthy out is entirely possible if you bring your imagination along for the ride. It requires a lot of creativity and a little research. Eating healthy never tasted so good and we loved the experience of going to a different restaurant every day; in fact, this exercise was so much fun, it’s worth repeating at least once a year. What better way to expand your go-to list of restaurants than to eat at a different restaurant every day for a month. 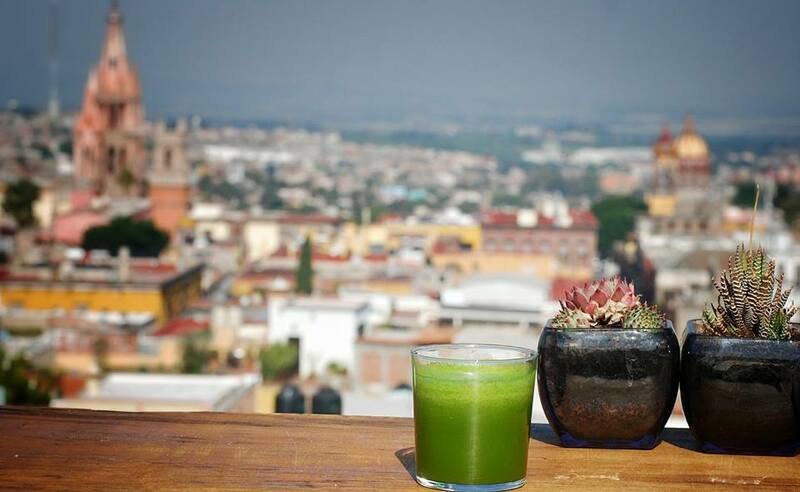 We didn’t even scratch the surface; 30 out of 370+ is just a small percentage of the healthy options you’ll find in San Miguel de Allende. Here’s the lineup of restaurants that helped us get through the month. This little hole-in-the-wall looks intimidating from the outside but owner Alex Cervantes makes everything fresh to order. After cooking at restaurants in Chicago for eleven years, he’s got plenty of hungry fans all around SMA. 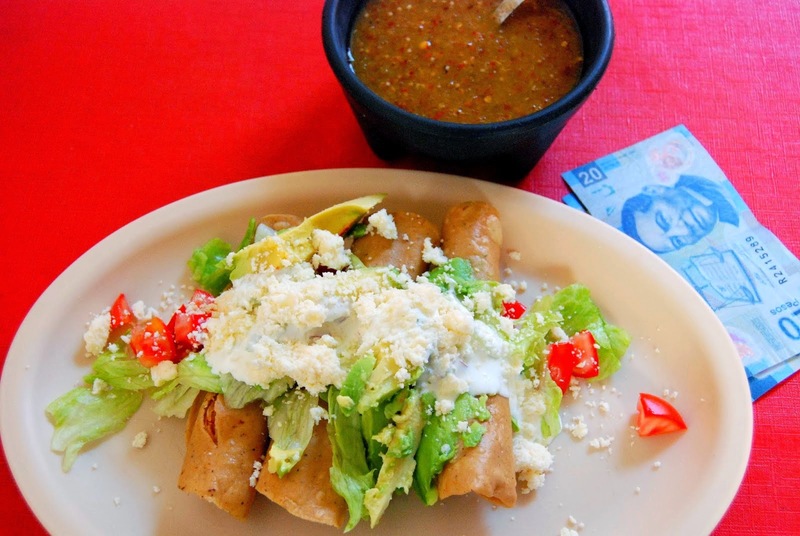 El Tucan serves the best Chicken Flautas - 4 for 45 pesos - but they're fried. 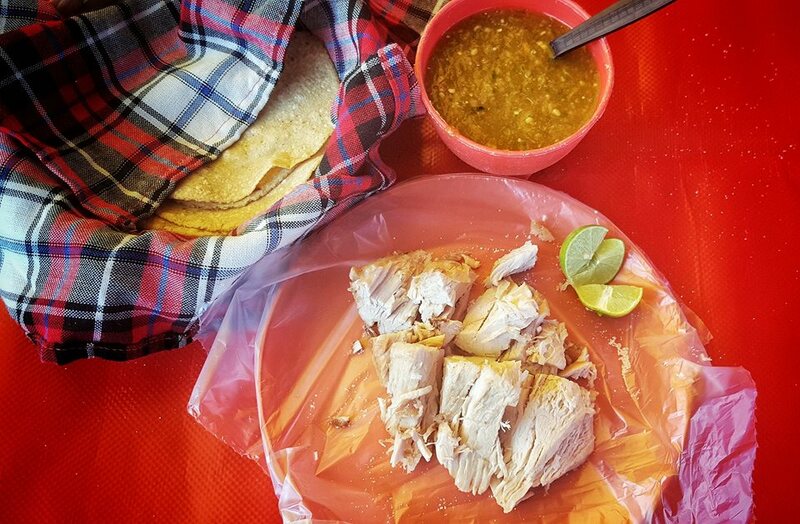 Isn't just about everything in Mexico's inventory of street food fried? So how did we make this dish healthier? We brought Alex the oil. What we've always loved about Alex’s flautas is that they’re topped with an oversized salad. The dish is essentially healthy but the fry was not so we asked Alex to use healthier oil when he fried them; not the 123 brand of oil he was using. Fried foods' bad rap comes, not from the fact that they are fried, but from the type of oil used in frying. I gave him healthier grape seed oil with a higher smoke point that's virtually flavorless, so the ingredients stood out. What a difference it made and owner Alex Cervantes thought so too. He admitted that he never thought about using healthier oil before. 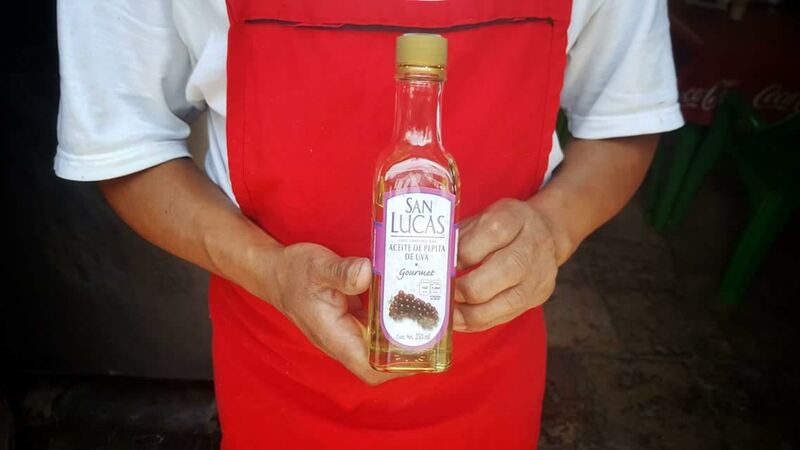 Although the cost of the grape seed oil would double the price of the flautas, a 45 peso increase is a pretty cheap price to pay for a healthier lunch. Day 2: Tianguis de los Martes/Tuesday Market: The challenge was to find alternatives to our top two Mexican food addictions: carnitas and churros. While most of San Miguel is sleeping, some of us are at the Tianguis de los Martes (Tuesday Market) shopping or taking in the sights, sounds and smells that define this market every Tuesday morning. With hundreds of open-air stalls, this market is Mexico; a real slice of local life. Eating at the Tuesday Market is my top priority. My usual indulgence is a Carnita torta made from costilla, a coke and a single churro. Doesn’t sound too healthy, does it? My healthier breakfast this morning: a gordita from Cecy's, stuffed with eggs and beans; low in calorie but long on taste, especially with a peppery salsa on top. You know what you’re up against to begin with, you go there every week, so be prepared to make food swaps – light meat instead of dark or churros without the sugar. I can tell you for sure that I will not be swapping out carnitas for an egg stuffed gordita any time soon. Carnitas are part of my weekly market experience so I’ll just choose healthier cuts rather than give them up. Did you know the average American eats less than a pound of lamb annually? That's one thing I love about Mexico; there's plenty of lamb on restaurant menus everywhere. For a healthier meal today at Trazo1810, I selected the lamb with a pita. Lamb is a good source of omega 3 -fats and has been shown to reduce inflammation, boost brain health and guard against cancer and heart disease. Being rich in high-quality protein and many vitamins and minerals, lamb is also high in antioxidants, so you'll build a strong immune system. 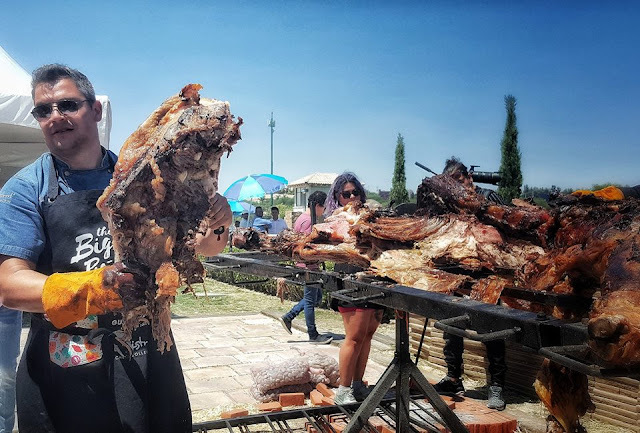 Trazo's lamb is marinated and put in high vacuum chamber for two days, cooked and served with pickled cucumber, dried tomatoes and yogurt with a sauce of dill, peppermint and chile de árbol. The homemade, wheat pita is paper thin. 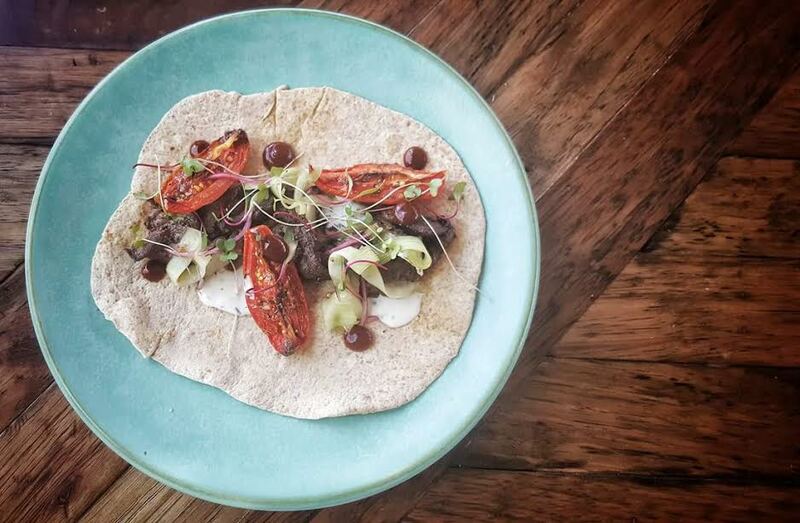 This dish is a lot like Tacos árabes, from Puebla, where Chef Alan Carias studied. A standard Pistou, a type of pesto from the south of France but lacking pine nuts, is served, made of tomato, shermola, basil, garlic, parmesan cheese and olive oil. The Focaccia bread is made with black olives and pecans; it was delicious. For a healthier take, enjoy a little, not a lot. You can easily lose a calorie count by indulging on bread this good. 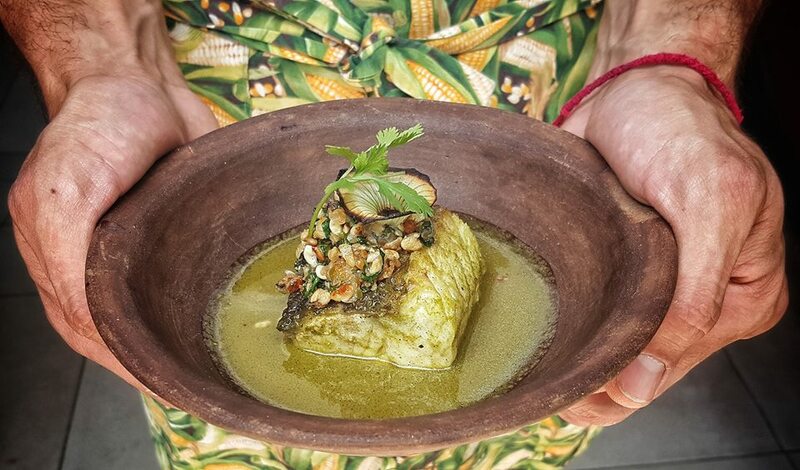 Chef Alan Carias’s cooking is also a good bet; his dishes are fresh, flavorful and healthy. It’s day four of my healthy eating quest and I returned to Trazo 1810 just to try the green salad and Chef Abi Verde’s healthy dessert. Sometimes, things that are healthy just don’t sound that good but these two dishes did so I was both curious and hungry. Check the online menus out before you go to a restaurant and look for healthy and delicious descriptions. I usually know what I’m going to eat before I go, unless a daily special happens to derail that plan. 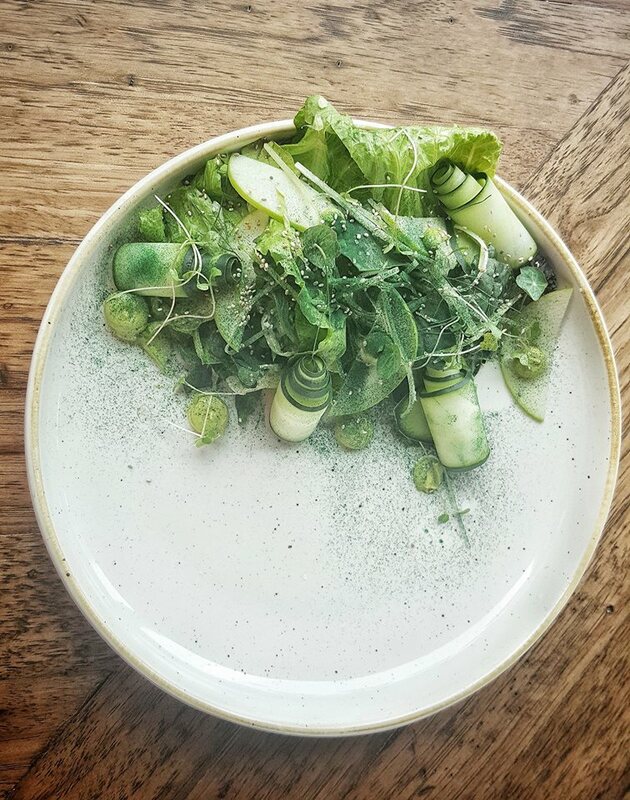 When Chef Alan Carias said a green salad, he meant it; it’s all green, made of celery, green apple, assorted greens, green tomato, chia, spirulina and lemon-thyme dressing. This was an amazing combination of savory tastes. I loved the light but flavorful dressing that uses Olio Fino lemon flavored oilve oil with spices. 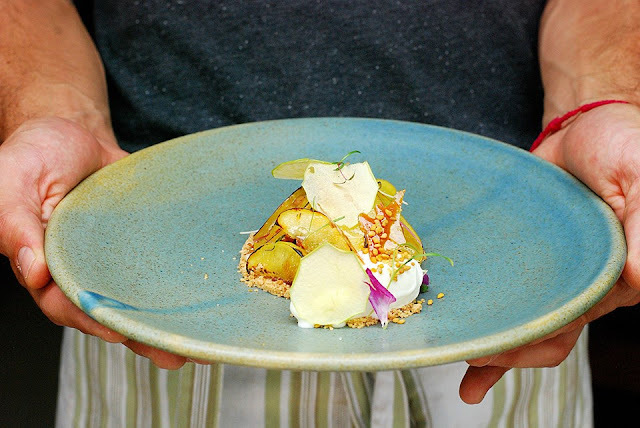 Chef Abi Verde’s dessert: Mango chamomile sorbet with turmeric and honey pistachio dukkak (an Egyptian, crunchy condiment consisting of a mixture of herbs, nuts, and spices) with yogurt. 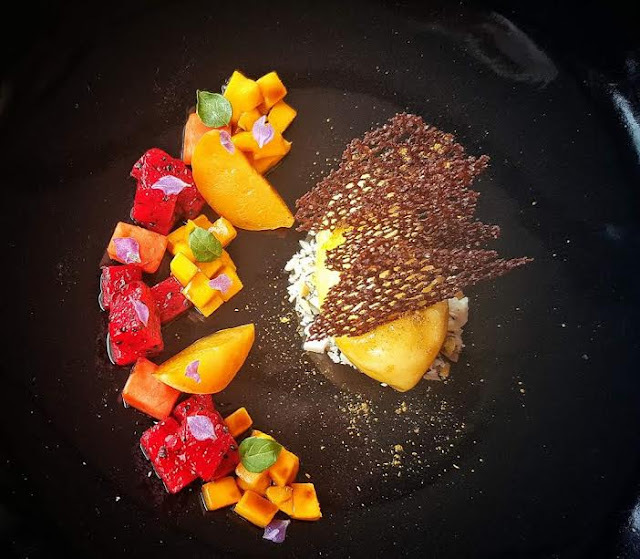 This dessert is healthy - it even tastes healthy - but it's also exquisite; it stimulates every taste bud. On three occasions, this restaurant had to spell out ingredients they were using for me; many I’ve never heard of before like dukkak. I like a restaurant that tries new things and interestingly, all of the ingredients I couldn’t spell also happened to be healthy ones. Eating seafood in the middle of the country also just got easier. 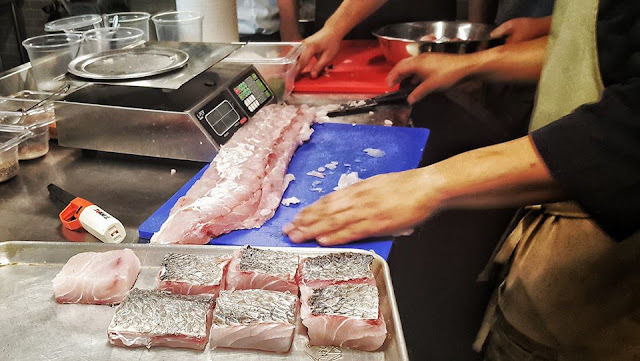 The fish and salmon on Trazo’s menu were caught, shipped and cooked all in the same day. I watched them filet a fish in the kitchen that was just caught that morning. Do you know what the color fresh looks like? Trazo is one of the many restaurants in SMA who will work with you to achieve your fitness goals. Most restaurants I’ve been to will give you a plate of chicken and vegetables, even if it’s not on the menu. Remember, a restaurants primary goal is to make their customers happy. No wonder eating out is so much fun! 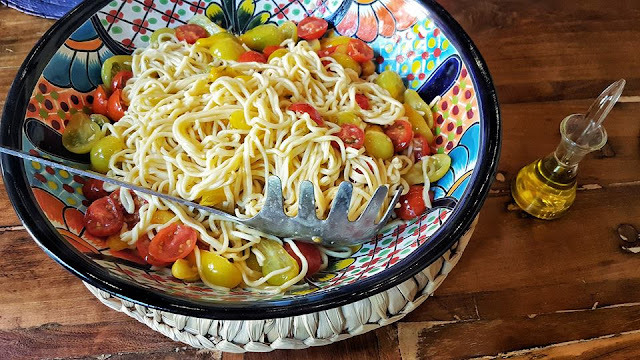 Chef Marcela Bolano makes everything look so beautiful, even the dishes that are super healthy for you. There’s a reason this chef was on Top Chef Mexico. 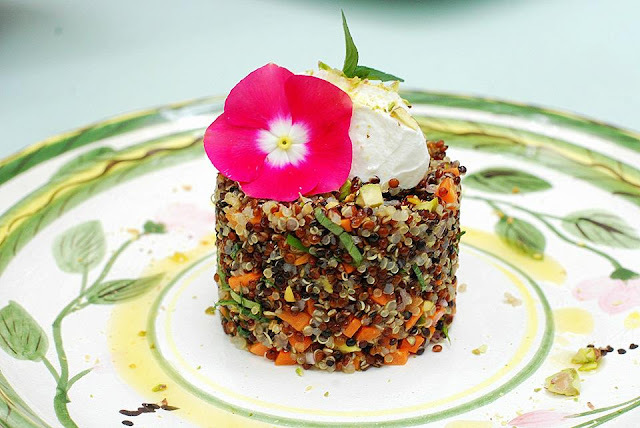 From the Quinoa salad to the summer roll and the Tuna tartare, I studied the dishes for a long time before I ate them; actually, I couldn't take my eye off the Quinoa salad, which is a work of art. I never thought I would love a salad this healthy but the taste was magnificent. The summer roll was a given; this Vietnamese dish was accompanied by a tasty, peanut sauce. The tuna tartare was a lunch in itself; so fresh and topped with a pile of fried leeks. If you're going to eat fried anything, it might as well be healthy leeks. Food always tastes better when it looks this good. You'll find a healthy assortment of items on Marsala’s menu that are good for you; your only problem is narrowing it down to just one. Give this restaurant a thumbs for being dog friendly. 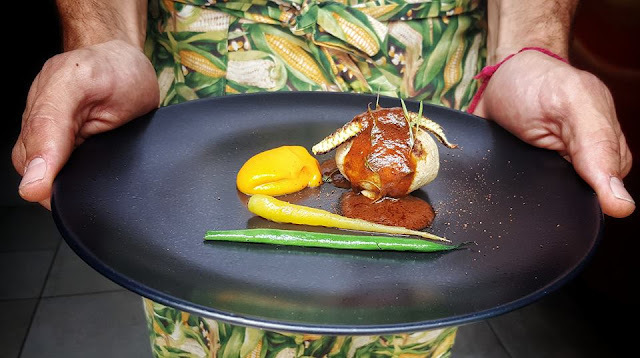 Marsala, cocina con acentos is on the list of the 120 Best Restaurants in Mexico, 2018 Edition, in the Guía México Gastronómico, which is published by Culinaria Mexicana and sponsored by S. Pellegrino and Nespresso. So what do you eat at the biggest Pic-Nic of the year? Everything! At B'UI cocina de campo, chefs Benito Molina, Javier Plascencia, and Dante Ferrero dished up a large dose of healthy. From Molina's fresh Tuna Carpaccio to Plascencia's Paella to Ferrero's famous BBQ - he cooked 3 cows in 3 days and 900 kilos of meat- I was able to indulge in all the main dishes at the festival. How unusual is that for a food festival? The only difficulty I had was exercising portion control because the food was so good. Portion control also means not going back for seconds. 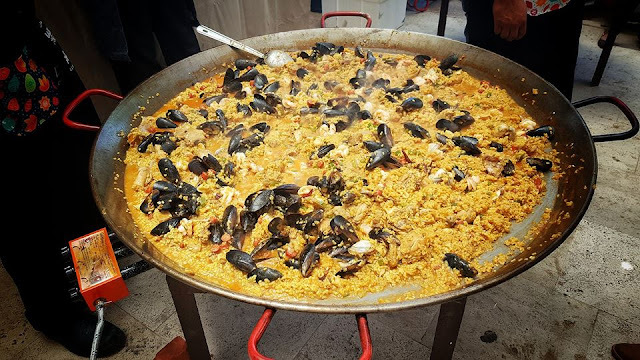 I could have easily devoured another plate of Plascencia's seafood and chicken paella; I hadn't eaten paella this good since the last time I was in Spain. So how do you get through a major food event? Only one way: portion control! 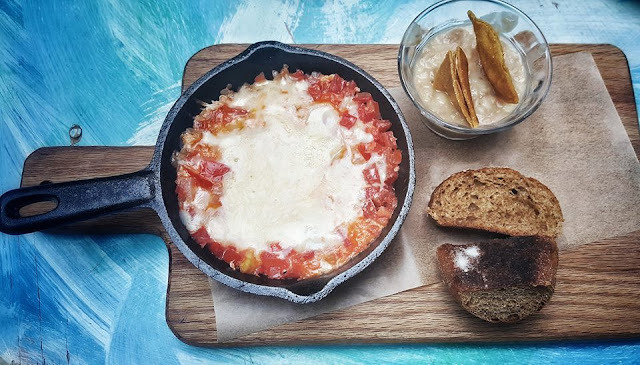 Huevos Mexicana… I love this healthy dish, one of the best, served in a cast iron skillet at Cafe Oso Azul, a little Danish cafe with blue-washed wooden tables and chairs. They recently added a dinner menu and opened up the front of the cafe, which makes it seem a lot larger. Most of the staff has worked here from day one, two and a half years, including the cook, Lupita, who is self taught. 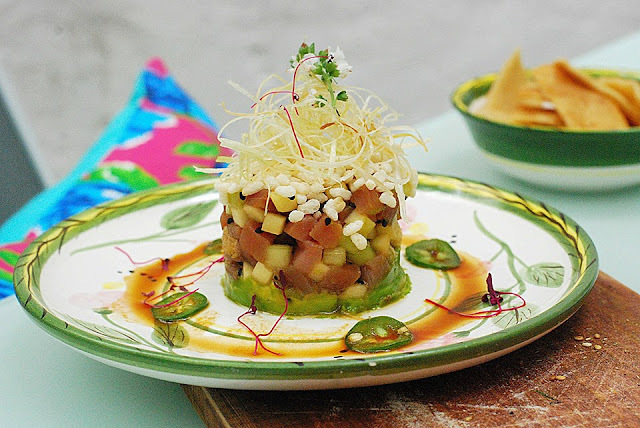 Café Oso Azul continues to maintain a top position on Trip Advisor every month; a tribute to owner Jens Kristian Moller and Lupita’s down-home cooking. Owner Jens is usually there. He's hands on, frequently working the floor and catching up with customers; many of them tourists. Besides all of the healthy food you'll find on the menu, I like the prices; my breakfast was just $120 pesos for all of this food. Score a big one for this restaurant, who’s also dog friendly. Small tapas that you share? How's this for instant portion control. Unlike most of America, the Spanish know how to eat healthy. Chef Stefania Rosales has a lot of healthy items on her menu; everything from mussels, a special on Thursday night, to a Vietnamese roll and grilled salmon, just to mention a few. The beet salad was delicious, especially when I saw the photos of the beets that Stefania picked herself at a local farm. 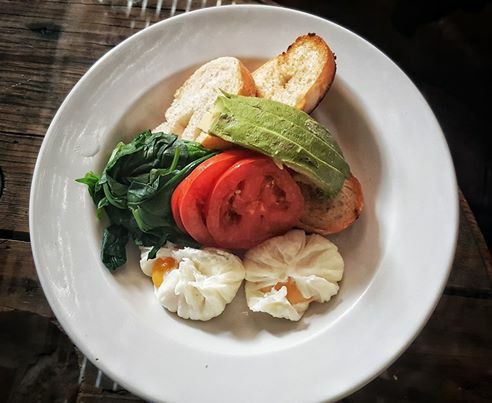 Farm to table: it's the way I like to eat and Stefania does a great job executing the concept with her trips to local, little known, organic farms in the area. She personally selected all the produce for her birthday dinner. There were lots of tapas on the table: the best was a beautiful beet salad with goat cheese and balssamic; the not so healthy but ever delicious BBQ ribs, weighing in at around 300 calories and 15 grams of fat for a plateful. I had a small plate but I ate two instead of one. You can easily lose track of what you’re eating, especially when it comes to ribs this good, so pick your splurges wisely. The birthday cake was created by Paco Cardenas of Petit Four, made of lemon and champagne. If I wanted one thing, I convinced myself this was it. Desserts are definitely my downfall but I survived day seven by taking the cake home and freezing it. 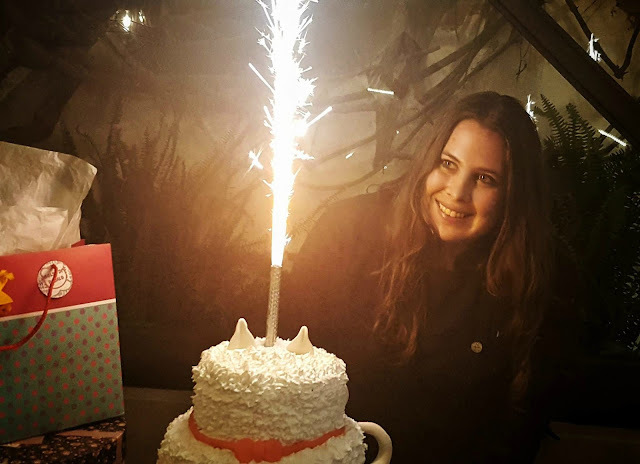 I'll be celebrating Stefania's birthday in three weeks. Sometimes eating healthy is downright painful like today, when I woke up craving a hamburger. When you eliminate a food you love, you only want it more, like Birdie's Burgers, so my challenge today was to find a healthy alternative. I tried the Hippie Chick, a falafel patty with sprouts and the Wedge salad. Falafel, made from soaked chickpeas, parsley, garlic and spices is rich in plant protein, but the benefits go far beyond that. It gives you about 26% of the daily recommended fiber. Did I love it? Well, not exactly but remember, I'm the queen of beef burgers but I know people who enthusiastically devour the Hippie Chick every week for the health benefits. How can a Wedge salad, which is smothered in blue cheese crumbles, bacon and dressing slim down to 110 calories? Easy. Lose the dressing or order it on the side and use it sparingly; most of the calories and fat are in the dressing. Skip the bacon and ask for extra tomatoes. Easy? Again a little painful as my favorite salad is a wedge and I always say the more bacon the better. 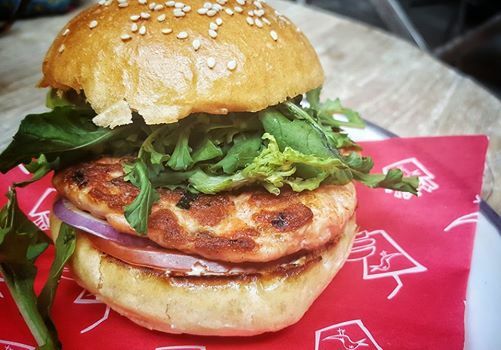 What did I find today to take the place of a beef burger was Birdie's special of the week: The Cali Girl Burger, a salmon patty with arugula and avocado. 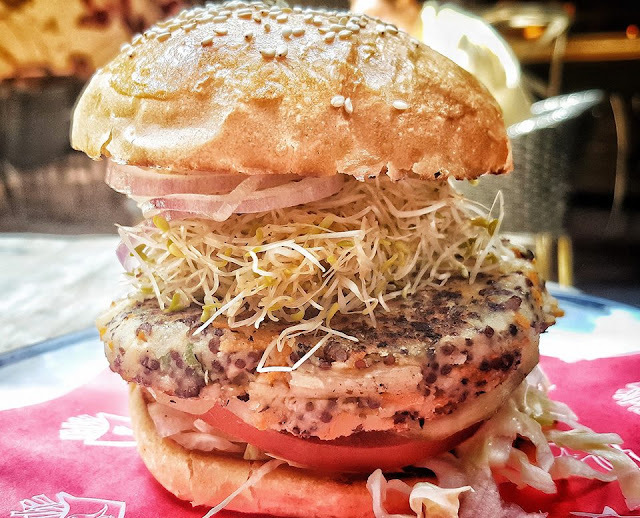 I talked to one woman who said she would like to see this burger on the regular menu; she had already eaten the Cali Girl Burger three times this week. How's that for an early-on, healthy addiction? Birdie's Burgers has a passionate fan base and I am one of them. 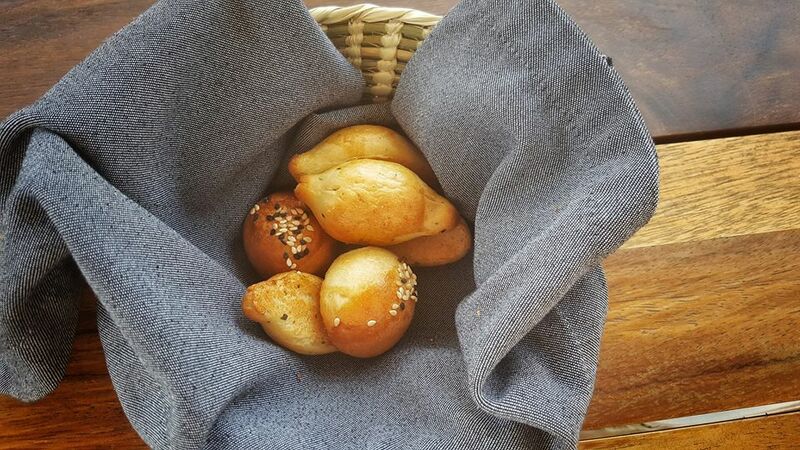 When you start with Cañada de la Virgen grass fed beef and a baked-fresh-daily bun from Panaderia La Buena Vida, you don't need much of anything else, except maybe another one for the road. I'll be back to eating burgers again soon; 22 days, 1 hour, and 10 minutes to be exact. Baja Fish Taquito has been serving up Cóctels and Tacos using fresh seafood from Baja. 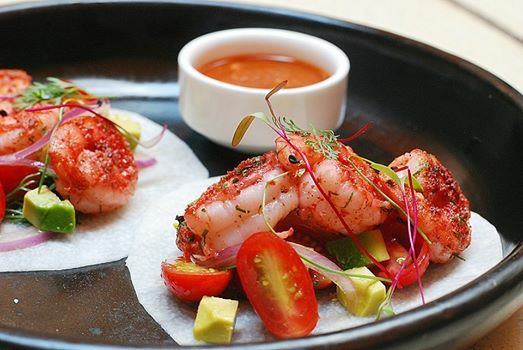 Another Mexican holiday is rolling around and what better, low- calorie, healthy dish to start the celebration than a Cóctel de Camarónes, a shrimp cocktail served in a lime-and ketchup-based sauce. 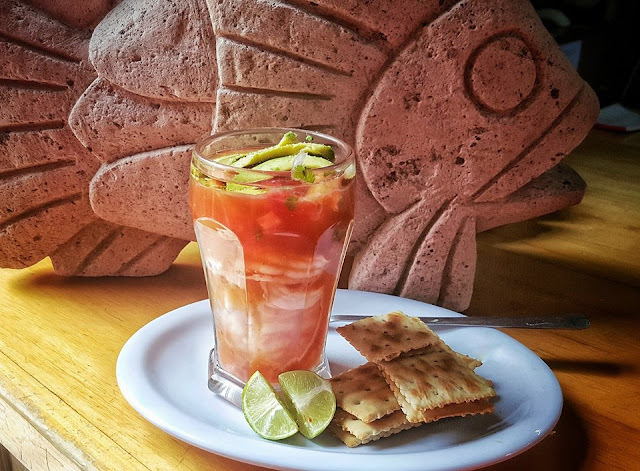 If you want another Mexican dish that's healthy and more like a ceviche, try Shrimp Aguachile, which features raw shrimp and other seafood in a chili-lime sauce. The chilies, serranos or jalapeños, are pulverized with water, which accounts for the name Aguachile. It's also served with avocado and of course, you'll want a cold beer or tequila to go with it but remember, you're saving your liquid calories this week for the holiday celebration later this month so come back in a few weeks for the party. That's part of this getting healthier plan; cutting back or even eliminating alcohol but no one said you can’t count the days until it’s over. Let's talk about tacos; a mainstay in the Mexican diet. Mexican tacos are nothing like American tacos; they are so much healthier to begin with. I was searching today for another restaurant when I ran across Mario's Tacos. This taco cart has been around for over a year so obviously Mario is doing something right. The tacos were grilled fresh, tasty and 9 pesos each. My lunch was 18 pesos or about 95 cents US. When was the last time you ate lunch for under $1.00 USD? Don't ask me because I can't even remember. Mario's is open every day from 10 AM to 1:00 PM or until he runs out. With the length of the line behind me, I would guess that happens fairly often. 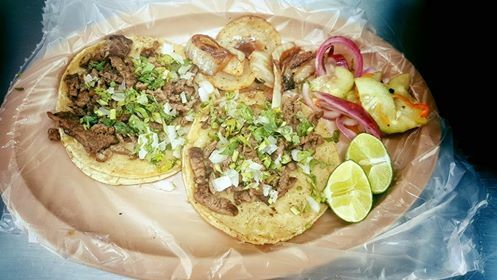 In addition to the beef, he also serves head, tongue and Longaniza (like chorizo only spicier) tacos. All the tacos were grilled fresh using lean beef and also very little oil. Topped with only raw onions and parsley, like most Mexican tacos, these were not loaded down with the two ingredients that are super high in calories and saturated fat, sour cream and cheese, that are used on tacos in the states. The taco shell you choose can also influence your final calorie count; the healthiest option is a non-fried corn tortilla instead of fried or flour ones. To boost your healthy factor, try a small amount of meat and a lot of vegetables. I ate the tacos with a pile of pickled vegetables on the side, grilled onion and fresh limes. Portion control: I wanted three but ordered two. Sometimes, what you need to find, is just a matter of getting lost. Put on your walking shoes and enjoy the journey. Besides, a long walk is good for you. 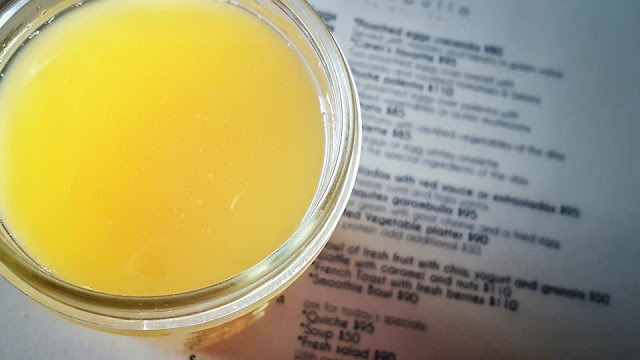 Chef Donnie Masterton was one of the first chefs in SMA to work with local farmers, ranchers, cheese makers and vineyards, seeking out the highest quality ingredients, so when it came to finding healthy on his menu yesterday, I didn't have to look too far. The Restaurant has a large, rooftop garden and they are also planning on creating a sustainable ranch to provide for their growing list of restaurants including Fatima, which opens in 2018. I love eating healthy when the ingredients are this good. 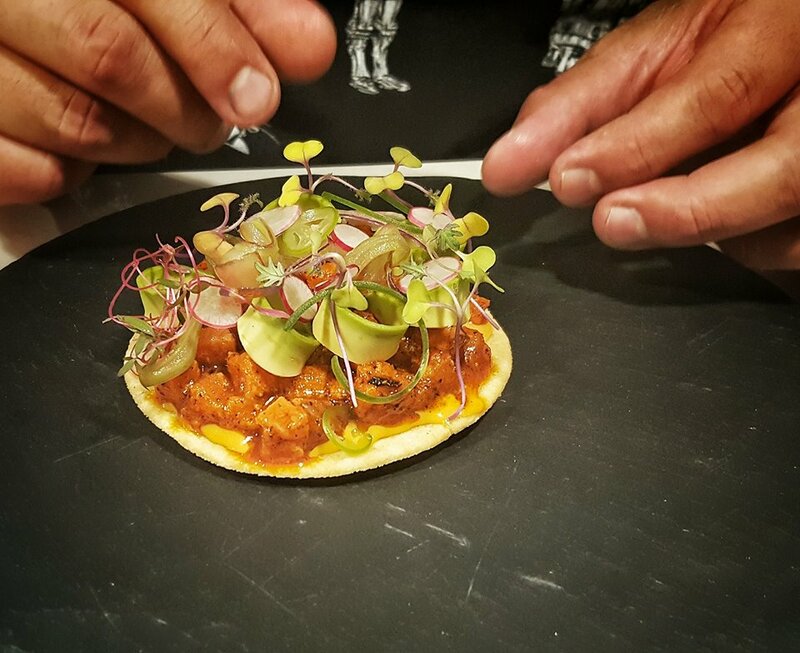 The chefs made a Burrata with vegetables and Chili dusted Shrimp Tacos on a jicama tortilla with tomato, red onion, lime and chili arbol salsa. Just look at how healthy these tacos are - skipping the breading and adding a lot of fresh vegetables. 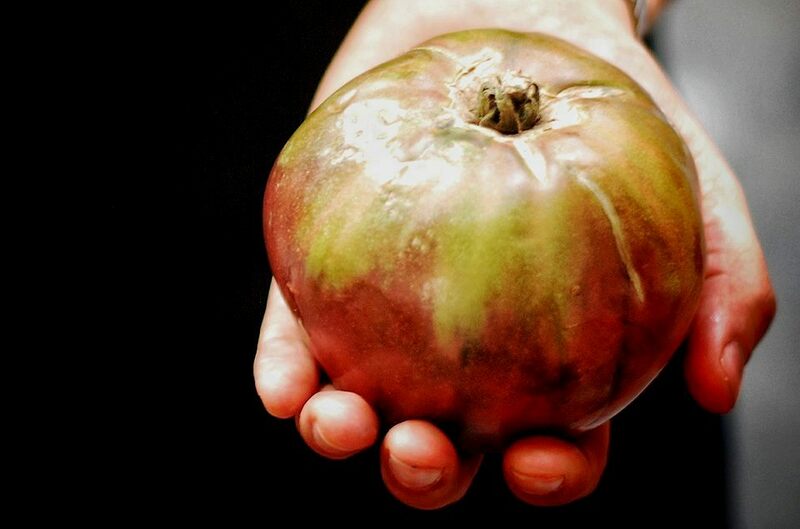 I've never eaten tomatoes that tasted this sweet; it was like popping candy and I couldn't get enough of them. The Burrata was on a bed of pesto. The fat in pesto is mostly unsaturated, which supports a healthy health, so I happily dug in. I ate a smaller portion though; only one ounce. Burrata is actually a bit like my favorite Burnt Caramel Sundae on the menu at The Restaurant; you can eat it, you just can't eat it every day. We're celebrating another healthy meal with Chef Gonzalo Martinez, who happens to be a master when it comes to creating healthy dishes. This beautiful, healthy salad had skinless tomatoes, avocado, radish, panela cheese, Jocoque, purslane (a nutritional powerhouse) and a grilled onion. I would have never thought to put these ingredients together, especially the grilled onion, but it added a bit of sweet to the mix of flavors; it was perfect. 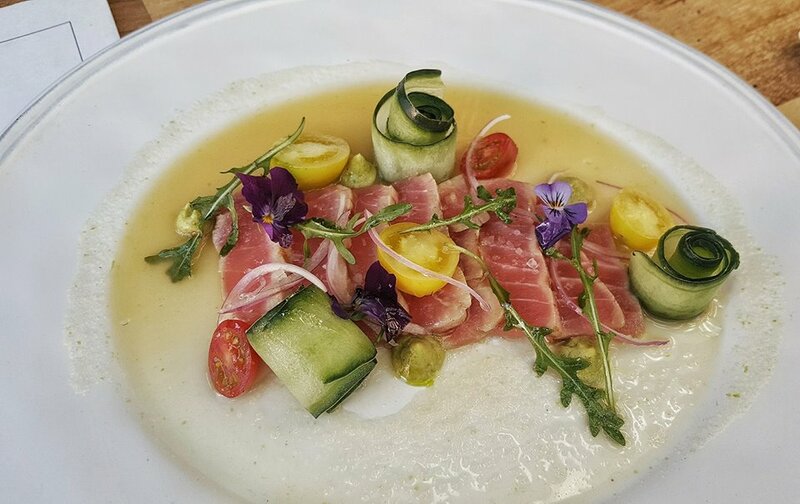 The last time we were at Quince, we also got healthy; Chef Erick Rojo made us a plate of super-fresh tuna and vegetables. What makes food taste healthy and delicious here? It's all in the high quality ingredients they use in the kitchen. We also loved the size of the rolls, reminding us that we need to take everything in moderation, except perhaps for the view. The view needs to be enjoyed with a glass of wine so make sure they give you a short pour instead of the usual. Bacco has a beautiful, old world patio where the Italian tastes Italian and everything else feels local. The owners, waiters and cooks all know me by name. The service here is better than most places and they always appreciate the business. If I've had a tough day, they can read me and know to give me an extra splash of Chardonnay when they pour me a glass of wine. I don't have wine tonight but when I do, it's always a generous pour. I feel at home when I'm dining at their table; they treat me like part of the family. I always leave a generous tip. You have to watch the ingredients you order when you're eating healthier. 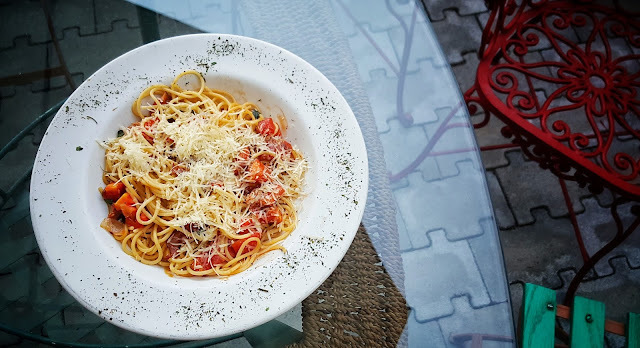 A little less cheese and a smaller portion of pancetta in your pasta like on the Amatriciana, which is spaghetti with fresh tomatoes, smoked pancetta, garlic, onion and Italian basil. I eat exactly half; the portions are large so I always have enough to bring home for another meal. Their bread, a crispy, Italian cracker, is so addictive; you usually don't get away without devouring a second basket. I have just two pieces tonight and do not dip into the temptation of the chili oil, at least not this week. And when you're done, just like home, you can catch a movie at the theater inside the restaurant. I enjoyed eating healthy tonight but especially savored eating local, in my neighborhood. The dinner filled me up, in more ways than one. Chef Donnie Masterton is the wizard of delicious salads, the Marine Girl salad coming by way of their office in San Francisco. We haven't had a salad this good since we were at The Restaurant a few weeks back and ordered two because we couldn't decide which one we liked best. To tell you the truth, we dismissed the other items on the menu once we discovered the tacos. Read the entire menu; you'll be surprised at what you find. 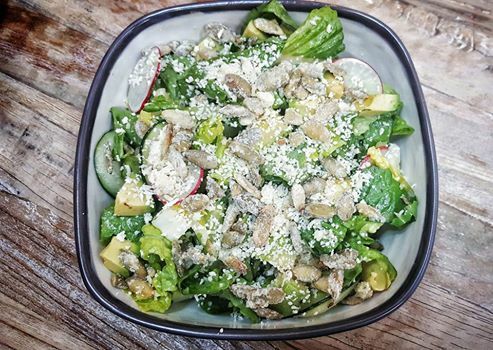 The Marina Girl Salad in an oversized bowl loaded with super fresh and extra crispy romaine lettuce, avocado, cucumber, radishes, pumpkin seeds, jicima, cotija cheese and a light, honey jalapeno dressing. The ingredients in this salad were so fresh; almost like they were picked today. Of course, we wanted to order the three crispy tacos as a side. This time around, we took a pass. After 15 days of eating healthy, what did I do? Cheat! There’s no reason why you shouldn’t have your favorite foods. I don't believe in depriving yourself of the things you like to eat. If we’re talking about foods that happen to be high in fat or sugar, you might just want to reduce the frequency of consumption. In this case, I ate healthy for two weeks and then had a cheat day; it was a pretty healthy cheat though. 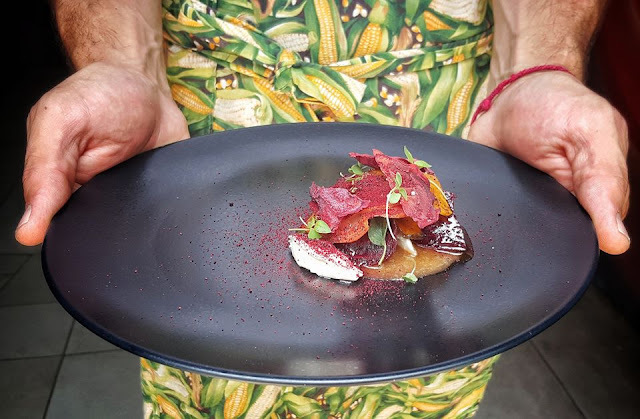 Everything at Nomada is fresh and healthy to begin with and the things I wondered about, well they turned out to be beets, dried or powdered, or some new micro-green that Marco's decided to use. When I expressed concern over the mayo, Sofia told me it was not store bought mayo; she made it herself. Of course she did; that's what Sofia does, making everything from scratch. Eat whatever you want; just practice moderation and when you decide to have that cheat day, pick a tasting menu to do it because the portions are smaller. Also pick a meal worth cheating for, like a meal cooked by Chefs Marco Cruz and Sofia Antillon. 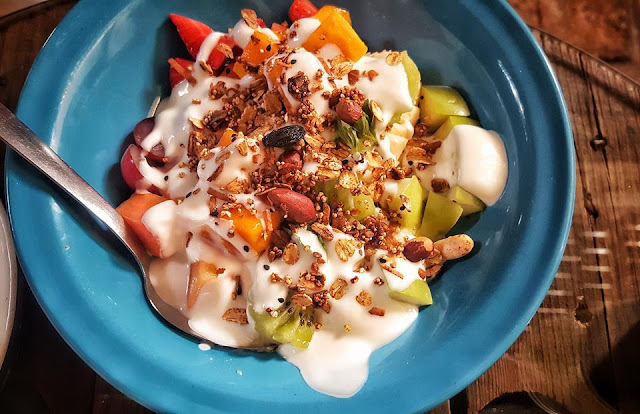 If Moxi is one of the most expensive restaurants in San Miguel de Allende, why did I spend only 70 pesos to eat healthy: yogurt, a bowl of superb, in-season fruit and the best homemade granola? 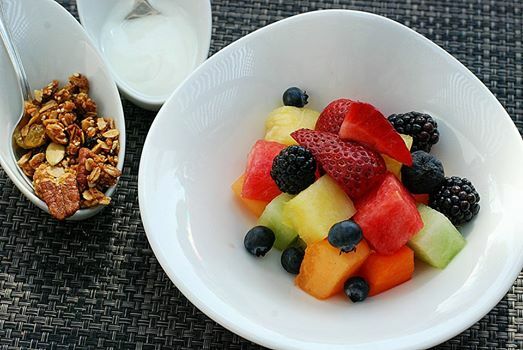 It's one of the few restaurants in town that serves fruit this fresh and good. The least expensive, healthiest meal in SMA was also one of the best, and not just for the food. What added value do you place on a meal with a pool view or fine china instead of paper or plastic? A cloth napkin instead of paper? I like all these extras with my food; they make it taste so much better. And why did we cheat today? Because I'm a mom, that's why. Pick an excuse and don’t look back. A day of cheating is OK as long as you’re back at it tomorrow. 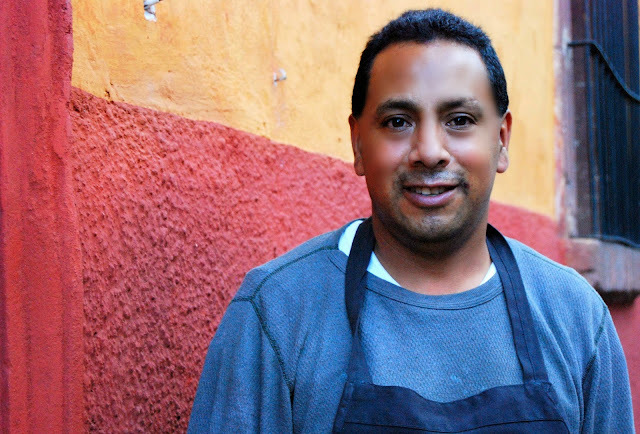 Jose Luis, the owner of El Pato, along with his wife Pilar, are from Tulancingo, Hidalgo, where they are famous for Mixiotes, seasoned lamb meat wrapped in the leaves of the maguey plant, and steamed slowly for hours in a pit, then served in its own consommé. The basis for the delicious broth is the juices that are caught in the dripping pot under the lamb. 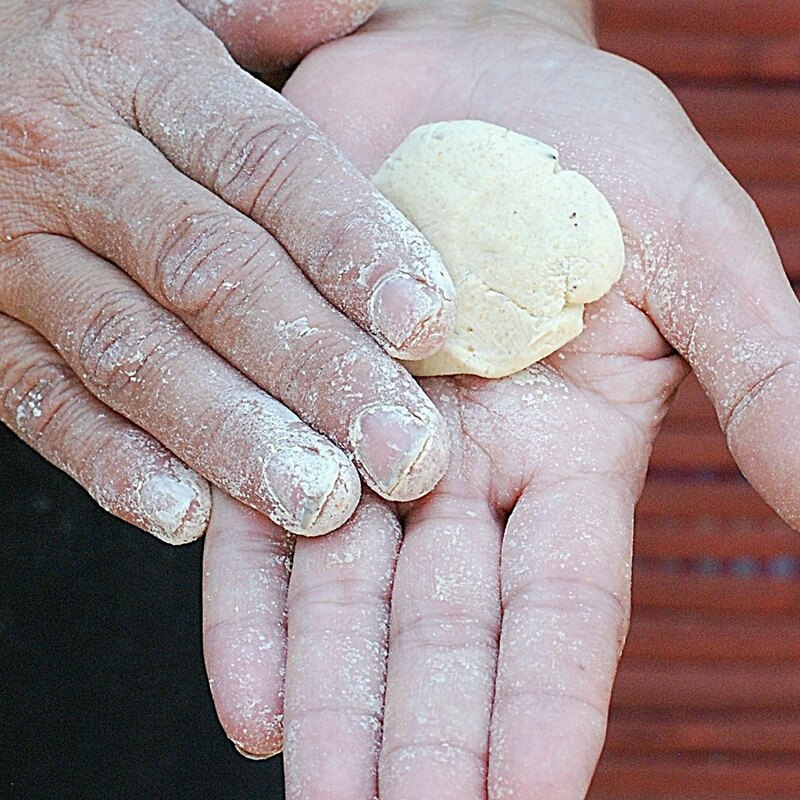 The process of cooking Jose Luis's family recipe, unchanged for generations, takes between 10-12 hours. 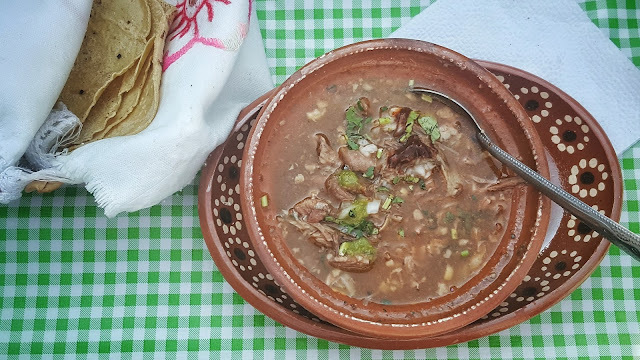 There's plenty of lamb on the menus all over Mexico. What we love about Lamb is that it's a staple in Mediterranean diets, believed to be the world's healthiest, because of its ability to lower the risk of cardiovascular disease. Lamb has less marbling than beef, is rich in high-quality protein, vitamins and minerals and healthy omega-3 fats. 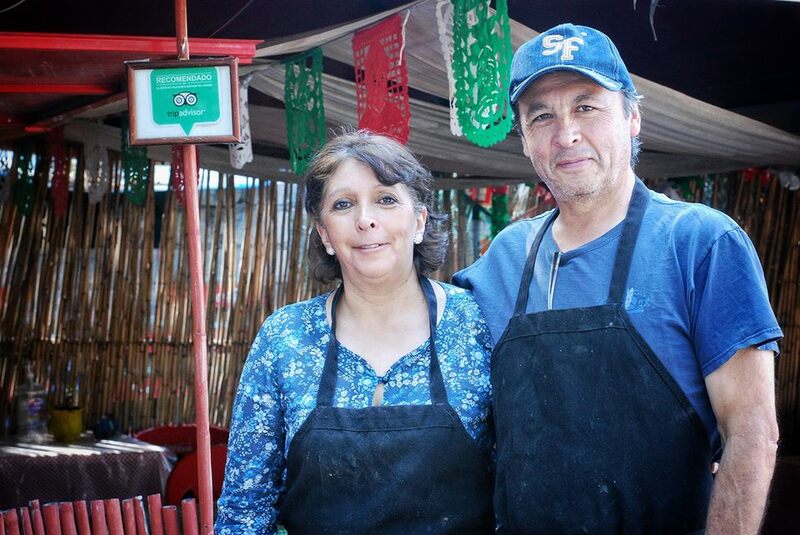 Chef Jose Luis and his wife, Pilar Ortiz, are two of the nicest restaurant owners in SMA. Besides being one of our favorite comfort foods, it's just like eating your mom's pot roast, it always feels like we're going home to eat. 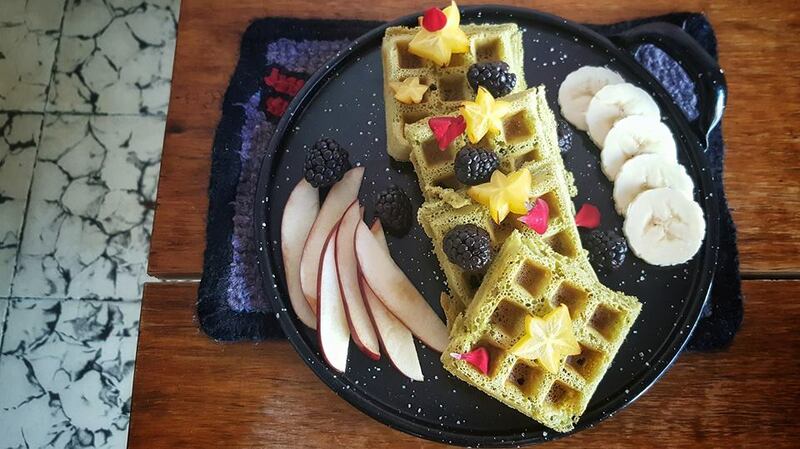 Vegan gluten free Matcha Waffles with fruit; this is one of the many healthy dishes on the menu at Garambullo, Animas #46.This restaurant is celebrating its 2nd year and we love coming here for breakfast; it's conversation friendly, filled with so much natural light and owners Maya Cordova and Jimena Tamayo Cordova are some of the best cooks in town. I didn't know what Matcha was until Jimena offered to make me a batch of Matcha Waffles. Guess what? I really liked them. You can't eat them dry but a splash of maple syrup or honey brings out the natural flavors. They even taste healthy. 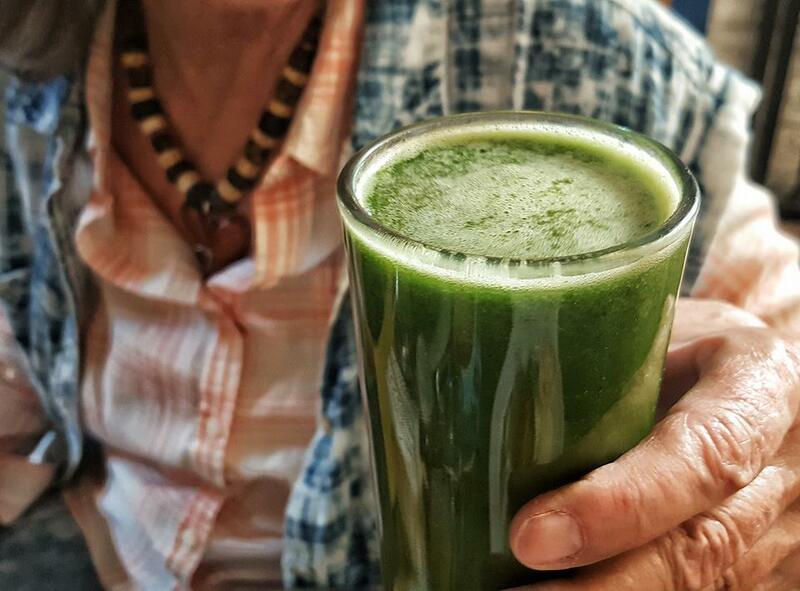 Matcha is straight, stoneground tea leaves, and provides you with green teas powerful arsenal of vitamins, minerals, antioxidants, and amino acids. In fact, to even begin to match the potency found in a single serving of matcha, you need to drink at least ten cups of brewed green tea. I’ve eaten at Restaurante Nectar before today, only because of the ice cream. 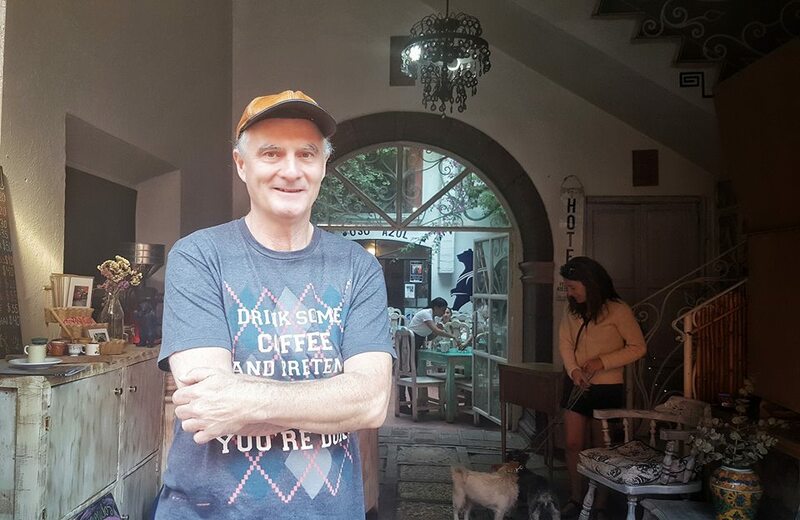 Tucked in the back of Camino Silvestre, at this beautiful shop where you can buy hummingbird feeders and other garden accessories, gifts and kitchenware, one would say that nearly everything on their menu is healthy, including the French Niçoise salad. 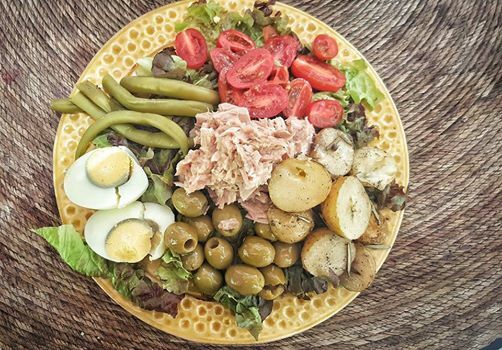 One of the most important things about a Niçoise salad is its presentation; elements are always artfully arranged on a plate rather than just tossed together. It's a real work of art. This dish is the combination of lean, healthy protein and vegetables; the best way to feel full and stay energized when you're reducing calories. A helping of Tuna contains less than 120 calories and has 26 grams of protein, rich in Omega-3 fatty acids, vitamin B and important minerals. Hard-boiled eggs are another source of lean protein, vitamins and minerals and has only 77 calories. Add olives, which contain healthy, monounsaturated fats and vitamin E, and you’re doing great things for your body. Tomatoes, green beans and small boiled potatoes finish the dish and add lots of fiber to the mix. 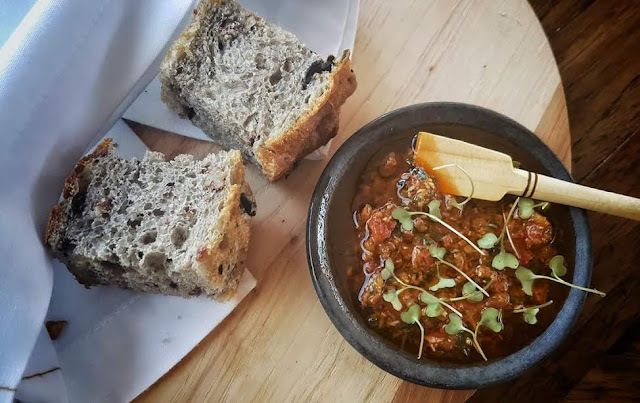 Part of the joy of eating this meal was sitting in the tiny courtyard and watching the steady flow of customers who passed through the store; many of them I knew. They also have a line of healthy teas and don't forget the ice cream; a perfect sorbet for topping off twenty days of healthy eating. Everyone eats at Hecho en Mexico but me. I don't know why; I've thought about the fact that although their food is always consistent, it was never my kind of restaurant until today! 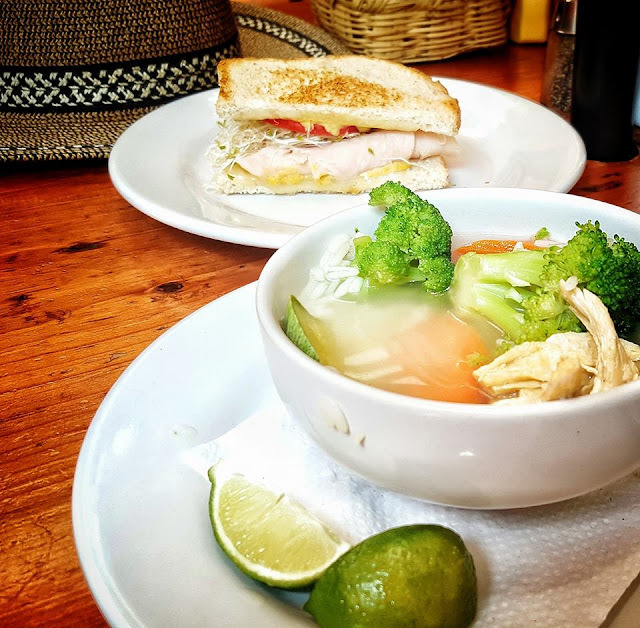 In addition to the many healthy dishes on the menu, their luncheon menu was the perfect middle ground: Chicken soup; broth with broccoli, carrots, zucchini and rice and a half a sandwich with turkey, tomatoes, sprouts and the small addition of Swiss cheese for 85 pesos. I really didn't care what Chef Magda Elisa Pablos was cooking; I wanted to be there to celebrate her one year anniversary as the chef at El Vergel. Magda is on my personal "best chefs of SMA" list and I'm addicted to so many things on her menu; steak-frites and the Oxtail Mac and Cheese in particular. So what did I eat at El Vergel while I was trying to eat healthier? 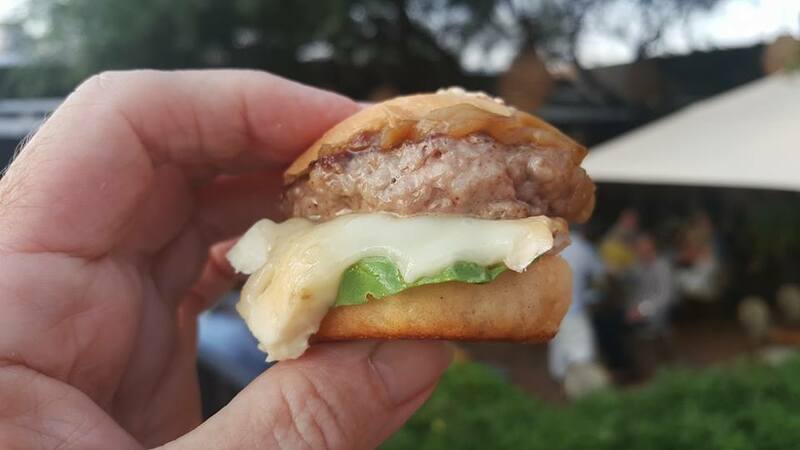 I limited myself to three, small appetizers including this mini burger bite of Canada de Virgin beef. I didn't eat this burger because I know that Omega-3 levels in grass-fed beef are about 50 percent higher than regular beef. I ate it because Magda makes one of the best burgers in SMA. Celebrating one of the best kitchen teams in town, I capped it off with a small chocolate chip cookie. I've found that eating small, bite-sized portions and eating them slowly will help you to eat less food. I always say THINK BIG but when you have the temptation of drinks, appetizers and desserts at a party, try thinling teeny tiny as a better option. 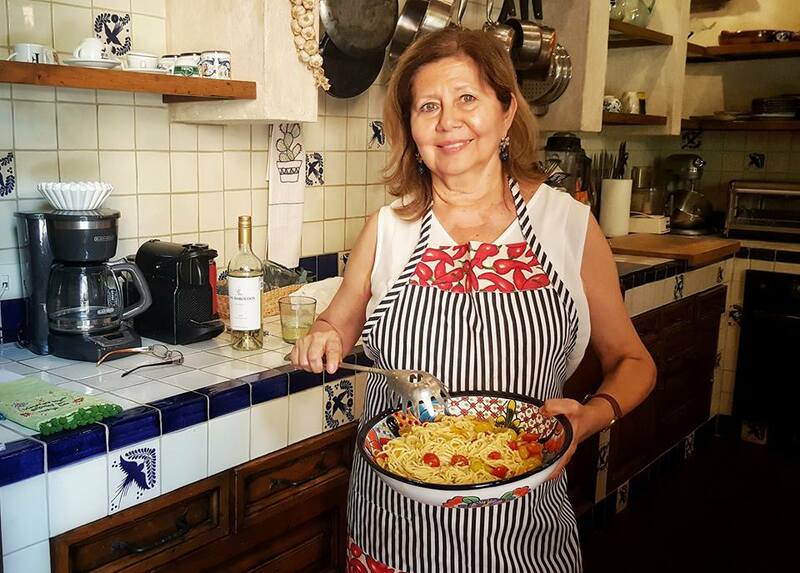 I wanted to learn how to make authentic, Italian sauces at home so I took a cooking class from Chef Gilda Valdez Carbonaro, the Maestra of Italian cooking in SMA. I'm certain of one thing after spending three delightful hours in her kitchen: if you use good ingredients, you can be pretty certain that the dish is going to be healthy. Gilda selected the freshest tomatoes from Mercado Sano and also showed me a new, more flavorful method of making the one healthy, Italian sauce I did know how to make: Marinara. We had assaggi (tastes) of all the sauces, some over the fresh pasta she taught me to make: Pasta al Pomodoro, Pesto di Pomodoro, Raw Tomato, Mattriciana, and Puttanesca. 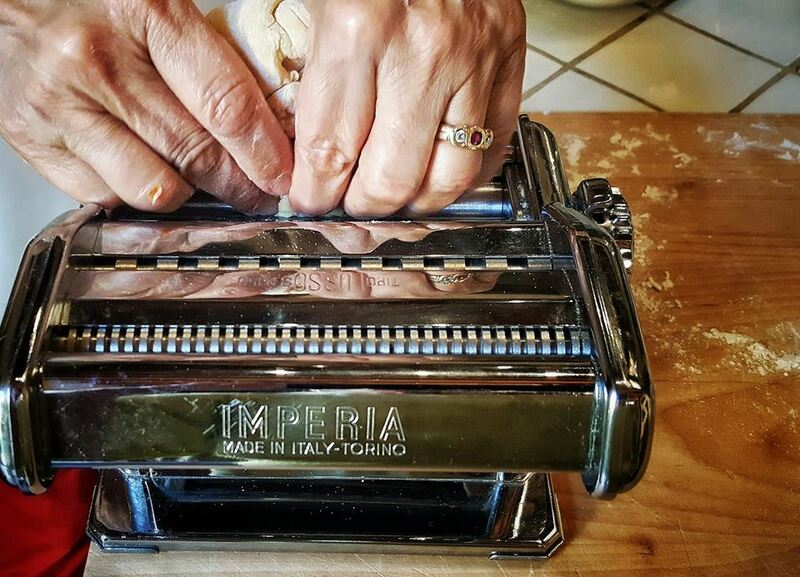 Gilda and I both love a little heat so we added 'pepperoncino' (Italian pepper flakes); of course you have to go to Italy to get it. It's no secret that my favorite thing to eat in SMA is the Jicama Taco at La Azotea. The jicama is covered with lightly breaded shrimp and topped with fried leeks, mayo with chipotle and a tamarind sauce. You can get it with tuna or a breaded brie instead of shrimp but I prefer the shrimp; it's such a delicious combination of flavors. We all know the medicinal powers of tamarind, that shrimp is rich in protein and that jicama is mainly water but how about the mayo and the breading on the shrimp? Don't kill your healthy goals by cutting out; boost them by downsizing what you eat. I had one instead of two. Believe me, that's a lot of self control for me. You can try making the Jicama Tacos at home but we say why bother; they are also healthy on the budget at just 50 pesos each. 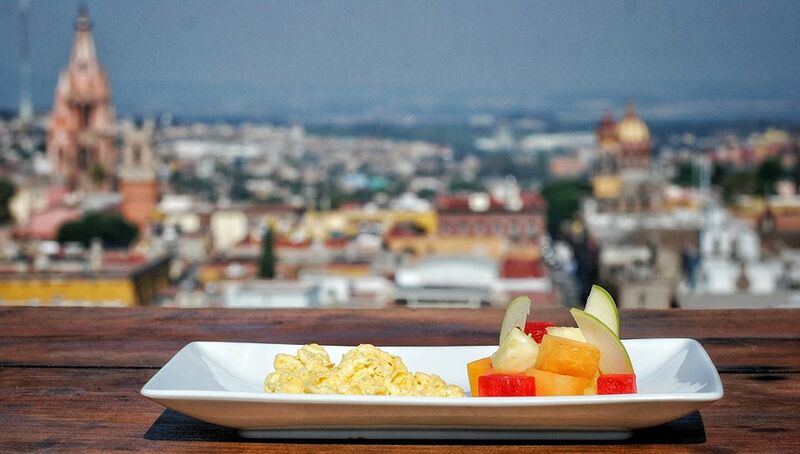 Besides all that, you'll miss the view; that's the healthiest part of the whole meal. 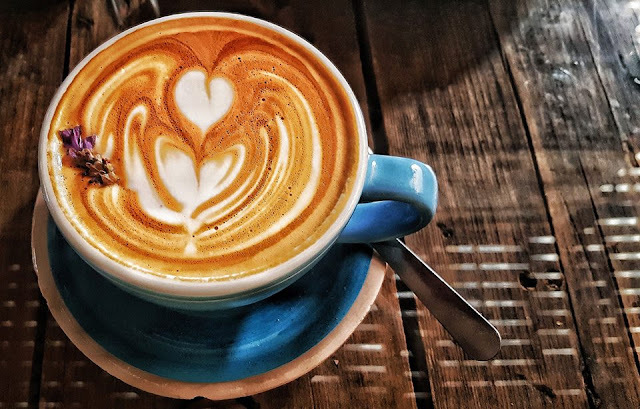 Back in February, 2014, when I first wrote about Lavanda Cafe, they were #51 on Trip Advisor. Have times changed! 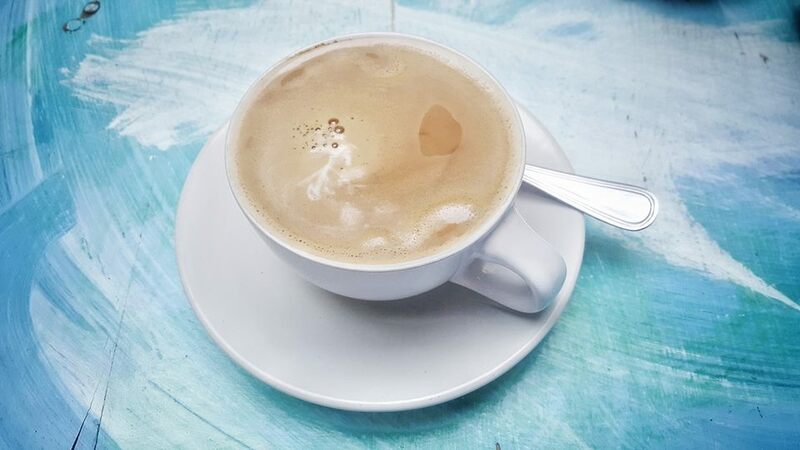 Not many people knew the secret that we did back then: Lavanda Café was one of the best cafes in SMA and it still is. Everyone knows now; you have to go to Lavanda when they open at 8:30 AM to get a seat, otherwise you have to wait. Do you have a lot of patience? We hope so; sometimes the lines are really, really long. 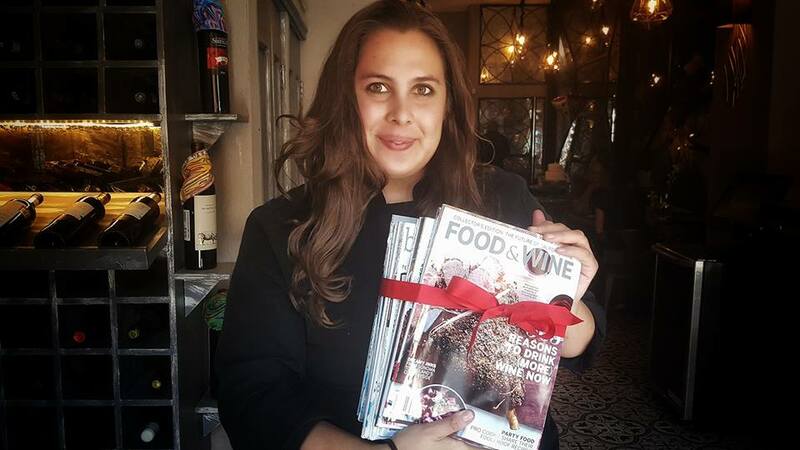 Chef Karla Becerra Martinez has incorporated many of her mother’s dishes on to Lavanda’s menu. 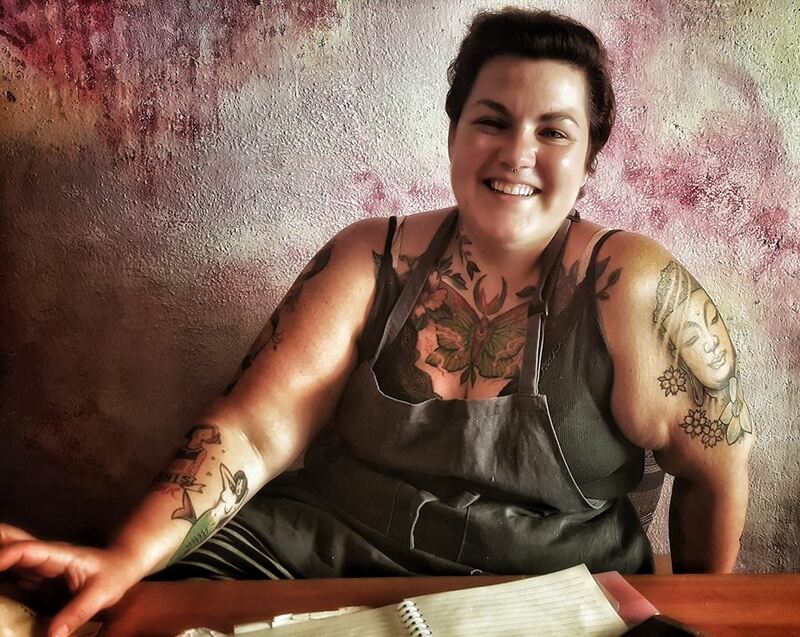 With no formal culinary training, she’s turned Lavanda Café into one of SMA’s most popular restaurants. It's obvious every time she plates a dish that her training was in graphic design. I'm always amazed when they set a dish in front of me; I have to take the time to admire it before I eat it. I selected poached eggs with vegetables and a beautiful cup of Lavanda coffee with a floating stem of lavender. My friend ordered the fruit and yogurt and a glass of green juice. How healthy is this for two Midwestern food lovers who grew up on oversized pork tenderloins? 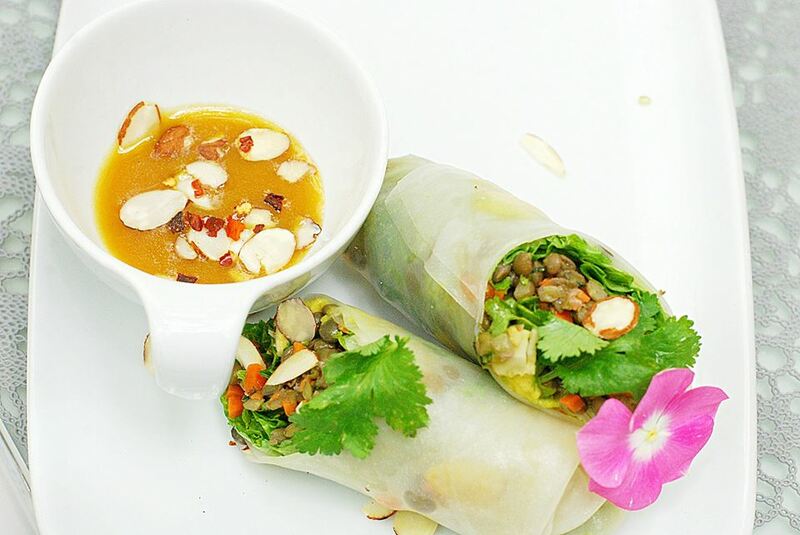 It’s easy at Lavanda; good ingredients = healthy dishes. I'll admit however that I'm going back in a week for waffles with a tower of bacon; that is if we can get in. Given all the choices you have in SMA for healthy, this is one restaurant we couldn't leave off our 30 day list. With so many healthy choices, it's difficult to choose just one dish. 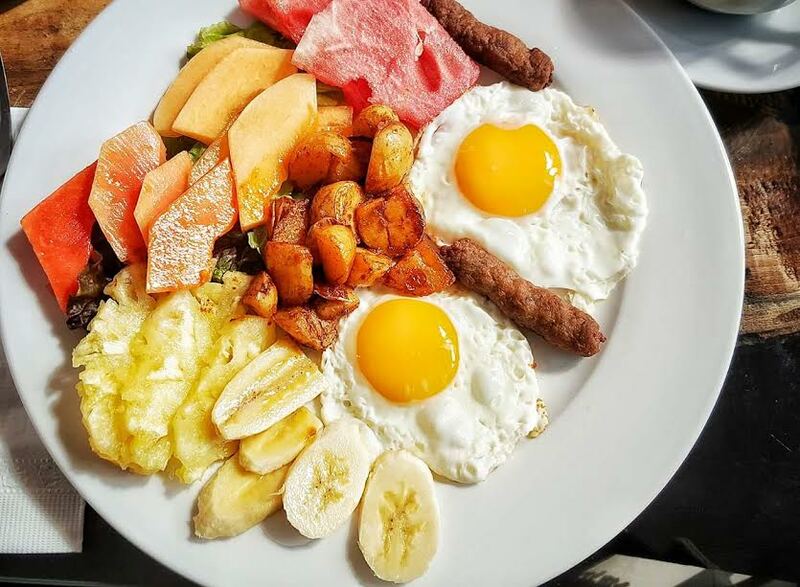 Sometimes I need an American fix, like eggs, fresh fruit, pork sausage and fried potatoes. On this occasion, we piled on extra fruit, skipped the sausage and only ate a few bites of the potatoes. We also favor the Tacos Muro: arrachera with cheese and carmelized onion. We asked the chef to cut the cheese down to just a taste and carried the extras home for breakfast. You can also get a healthy, Mexican breakfast, but again you'll have to cut the cheese. At San Gabriel #1 in Barrio del Obraje, the short hike down the hill after breakfast will hold your eye. You never know what you're going to see walking to and from this restaurant. The ten minute experience can be almost as good as the food. And besides all that, we would walk the hill again just to visit with the owners. 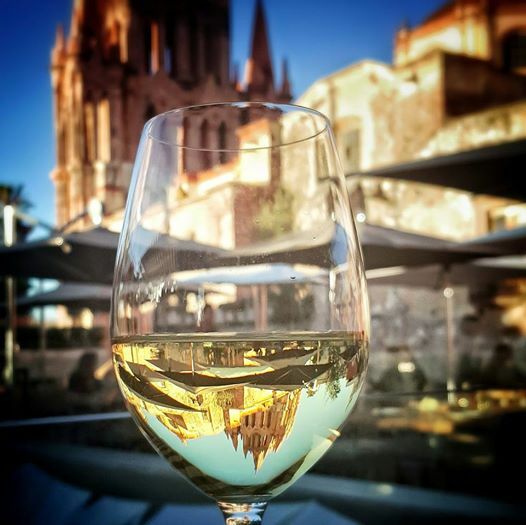 May is, on the average, the WARMEST month in Sam Miguel de Allende. No kidding! So who said it's too hot to go to a restaurant to eat? Me, and I'm hardly ever bothered by heat. When it was over 90 degrees for the second week in a row, it was time to stop by Genesis Tienda Naturista for a little, healthy take out. There are lots of juice stands in town. I love this one because they squeeze it right in front of you; you know it's fresh and hasn't been sitting around half the morning. 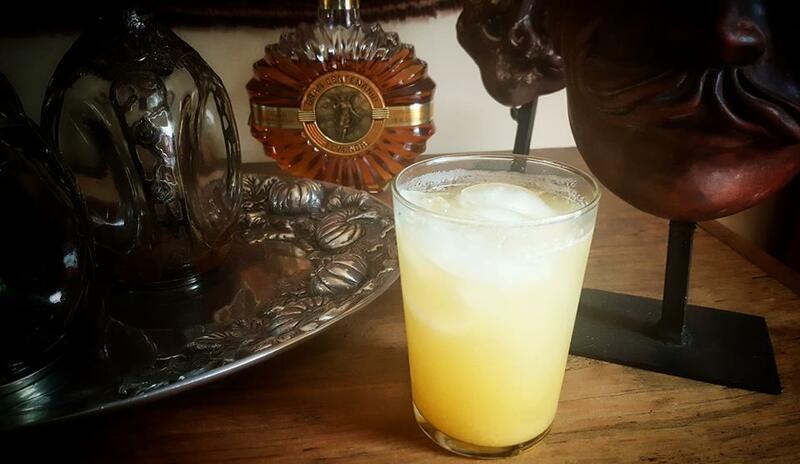 I get orange and pineapple; the blend that Marcela Bolaño uses for her delicious Mimosas at Sunday brunch. 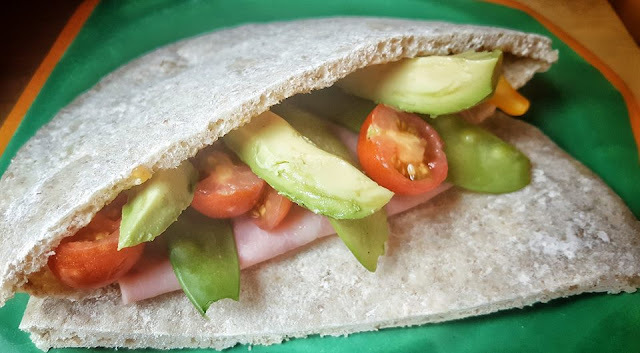 In their homemade, wheat pita, I add a slice of turkey and stuffed it with vegetables - snow peas, tomatoes and avocado - that I bought last Saturday at the Organic Market. They were still fresh; cold, crunchy and perfect for an impossibly hot day in May. 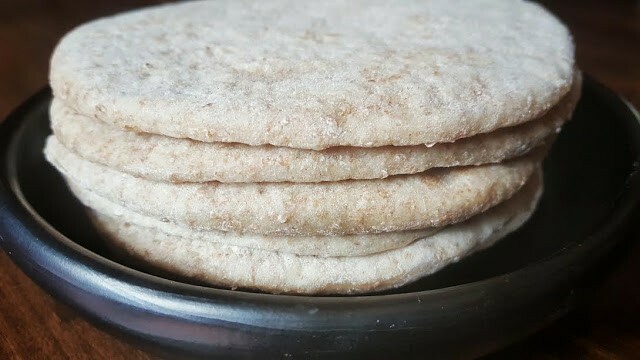 One thing I learned: I really don't love wheat pitas but I do like them stuffed full of fresh, high-quality vegetables. Healthier eating might just mean increasing the portion of healthy foods you do like. When I went out later, I got sherbet instead of ice cream. That was a sacrifice, although I'll admit it did cool me off. Antonia's Bistro SMA offers picture perfect post card views of SMA; one of the most spectacular in the city. We drank in the views to kickoff day twenty seven of healthy eating with a glass of just-made green juice with apple, pina, celery, and a splash of OJ. I’ve never been a huge fan of green juice but have to say this may be my new favorite drink. High altitude dining at its best, I tucked into something I haven't had in years - scrambled eggs. Instead of beans and potatoes, I got fruit. The bread - homemade, thanks to our favorite baker, Yessenia. 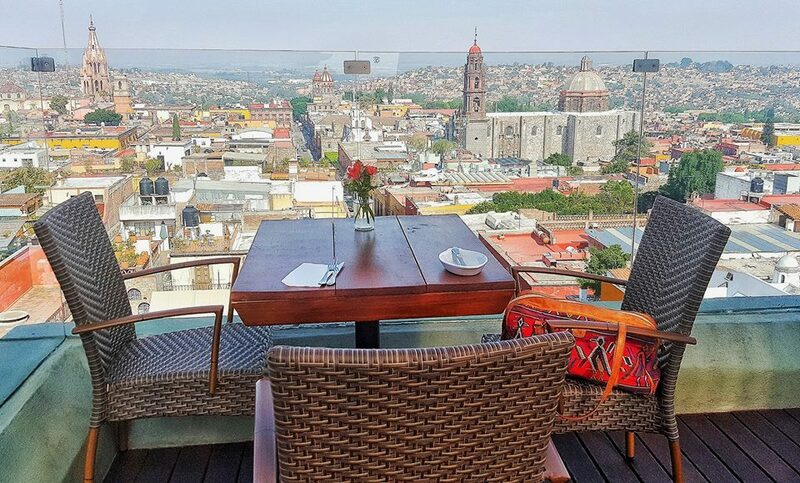 To sum it up: There are multiple lookouts at this restaurant that provide sweeping views of the city plus I got a fantastic breakfast made from fresh ingredients for just $110 pesos. Day 29: Too hot to eat out! We’re eating in our home restaurant today because we don’t have much of an appetite. An Egg: Only 77 calories, with 5 grams of fat and 6 grams of protein with all 9 essential amino acids = super healthy. Eat the yolk; it's what contains all the nutrients; two small pieces of bread - teeny tiny and bacon. No fat on this bacon, it looks like cottage bacon and it's delicious. 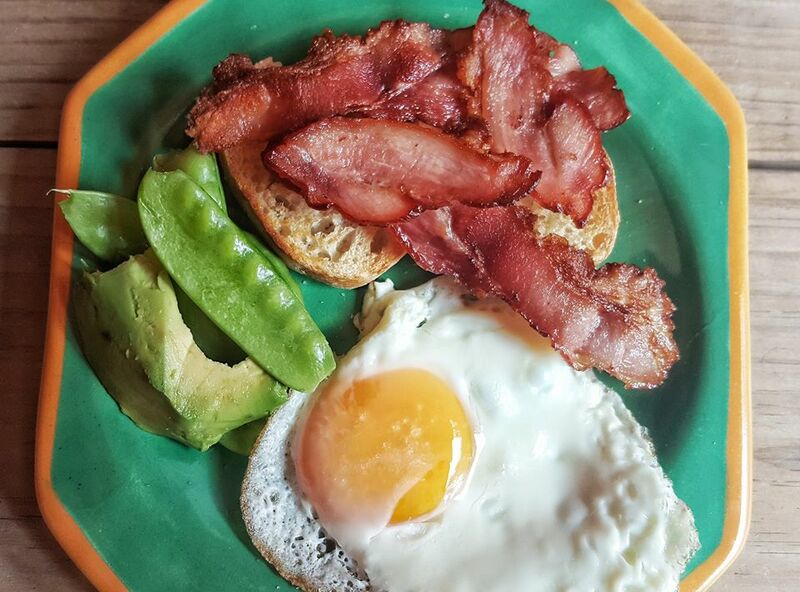 You'll find this bacon at Sammy's on Insurgentes. Ask for tocina con grasa - a funny name since it has hardly any fat at all; it's all meat. Ask Sammy’s to cut it fresh. The ending was an avocado with snow peas; still crisp three weeks after buying them at the Organic Market. In a refrigerator full of ingredients, you can always find something healthy; even if it’s hidden in the back behind an oversized bucket of butter. If I have only one life to live, let me spend it eating ceviche at Jacinto 1930 made by Chef Israel Loyola Espinosa. The PERFECT balance of flavors is why I spent a long time savoring each and every bite. It was certainly one of the best ceviche's I've ever eaten and we're inland; not in Peru. 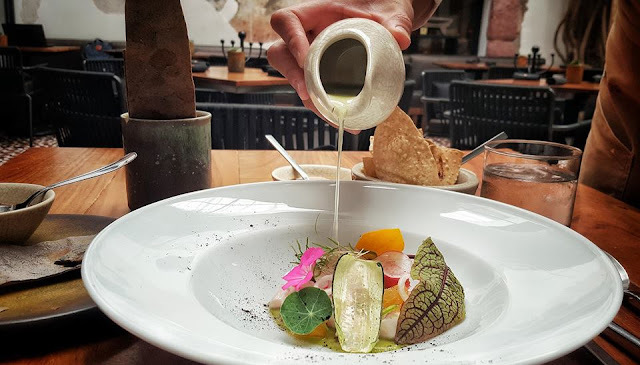 The Escolar is mixed with jalapeno, onion, orange, grapefruit, radish, cucumber and mango chip, lime juice and habanero ash; one of the healthiest and best meal yet. Jacinto 1930 is on the list of the 120 Best Restaurants in Mexico, 2018 Edition, in the Guía México Gastronómico, published by Culinaria Mexicana and sponsored by S. Pellegrino and Nespresso. 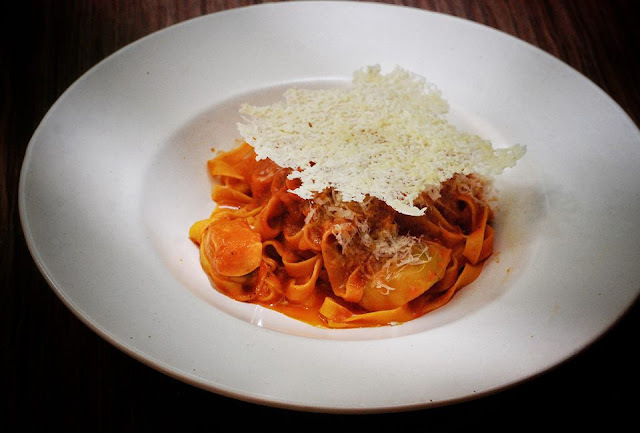 For my last healthy meal, I ordered something Chef Matteo Salas does extremely well, pasta. 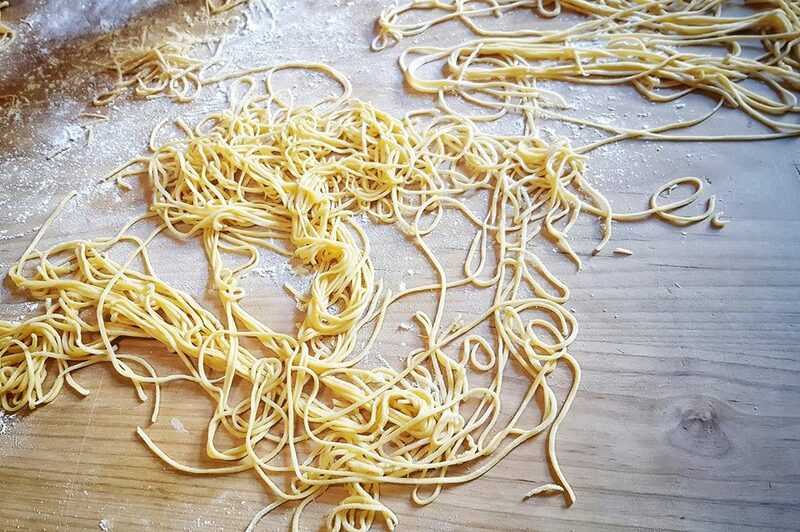 My menu selection was Tagliatelle pasta with fresh tomato sauce, olive oil and parmesan. The surprise: extra sweet, large pieces of tomatoes were tucked inside the sauce, under a beautiful dome of parmesan cheese. We loved this light cheese piece after cutting cheese out in the past 30 days. Many of Matteo's ingredient sources are now listed on Aperi’s menu. Sourcing ingredients is both time-consuming and costly; Chef Matteo Salas has it down to a science. What Aperi creates are dishes where the quality of the ingredients are allowed to speak for themselves. 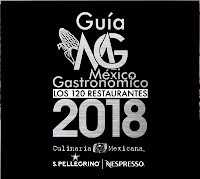 Aperi is on the list of the 120 Best Restaurants in Mexico, 2018 Edition, in the Guía México Gastronómico, published by Culinaria Mexicana and sponsored by S. Pellegrino and Nespresso.